I've written about the Lancia Scorpion in the past. It was a very cool car that didn't stand a chance in North America. Performance was a huge problem. 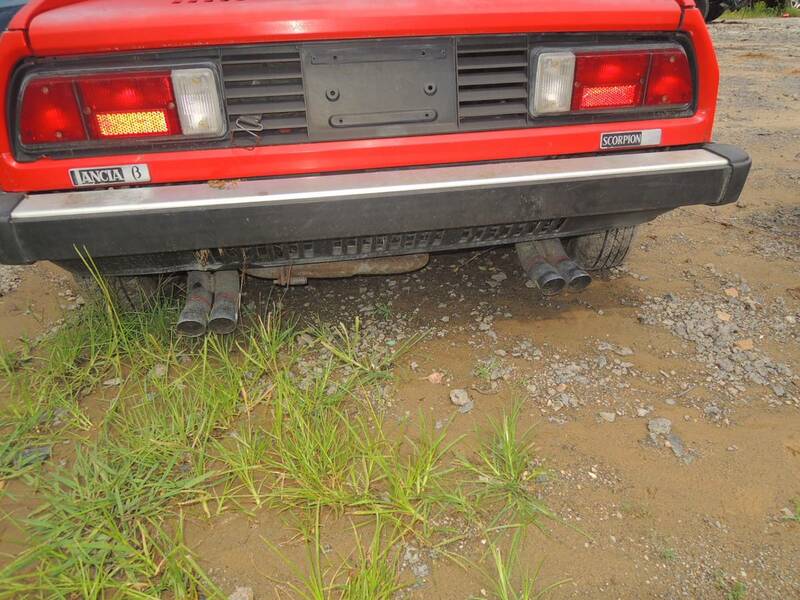 To meet US emissions Fiat / Lancia dropped an 81 HP 1756cc engine in it. The rest of the world - where the car was known as the Montecarlo - got a 120 HP 1995cc. The two liter engine didn't make the car a rocket, but the 1756 engine was truly anemic. The second problem was reputation. 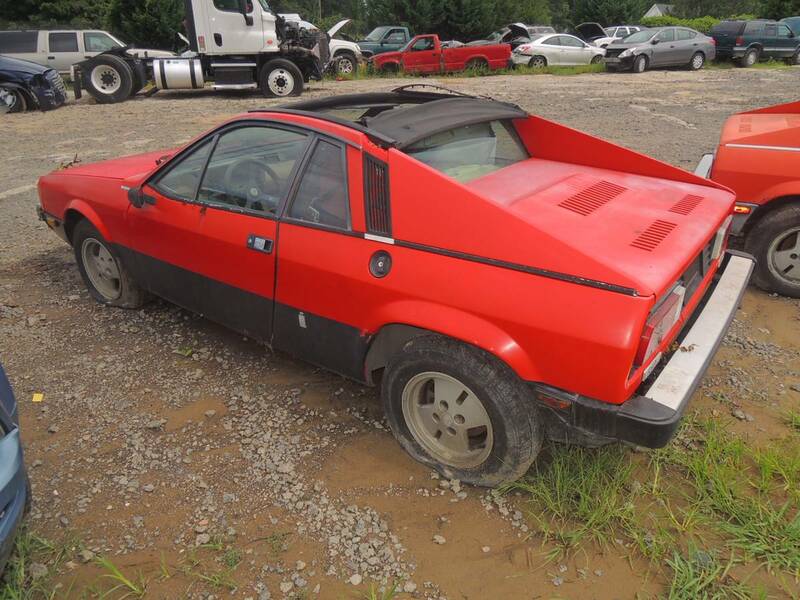 By the time this car came out, Lancia's parent company, Fiat, was struggling in the US. 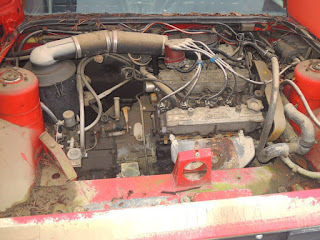 Rust, mechanical issues, rust, electrical issues and more rust were big problems. Lancia's Beta line of cars - a coupe, sedan, and hatchback / wagon in the US - seemed to have more of those problems - especially the rust - than the Fiat line had. 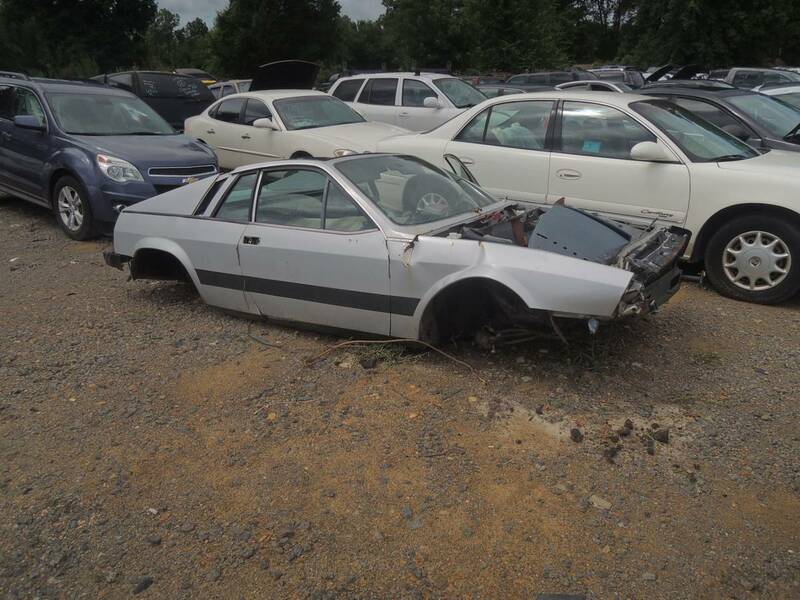 What it had going for it was it being a mid engine, rear wheel drive and - most of all - Pininfarina styled car. The Scorpion is a looker. 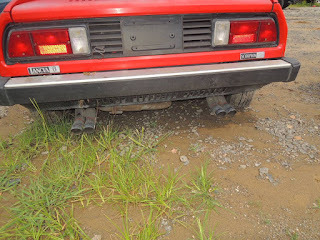 Ironically, the Scorpion was somewhat more reliable and much less prone to rust than the rest of the Fiat / Lancia line. Proving that, I guess, are these cars. They look like they have been outside for a very long time. 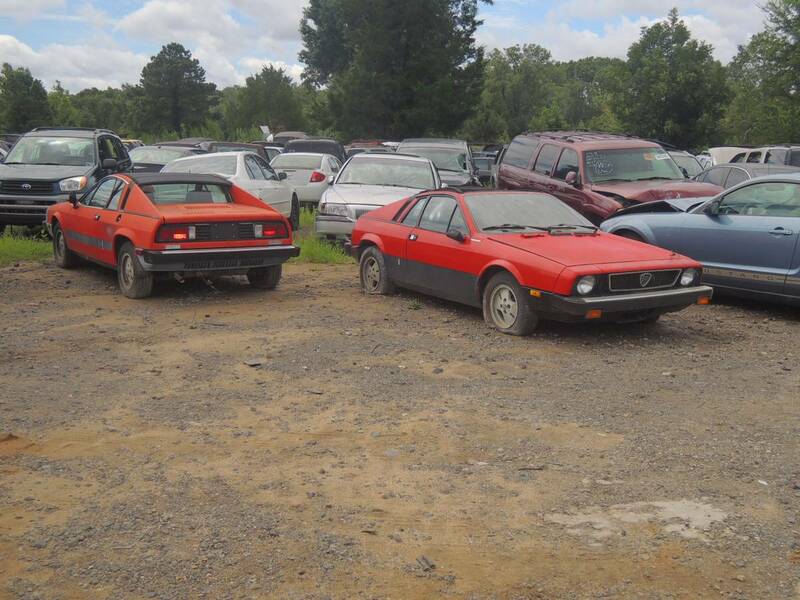 The two red cars don't have much rust (by 1970s Fiat / Lancia standards). 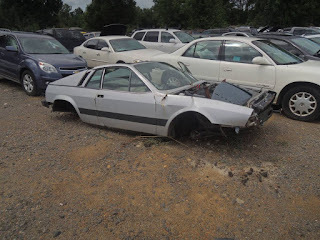 It's depressing to see cars as cool as the Scorpion sitting like this in a junkyard. But, with any luck at these will help keep another Scorpion or two on the road. 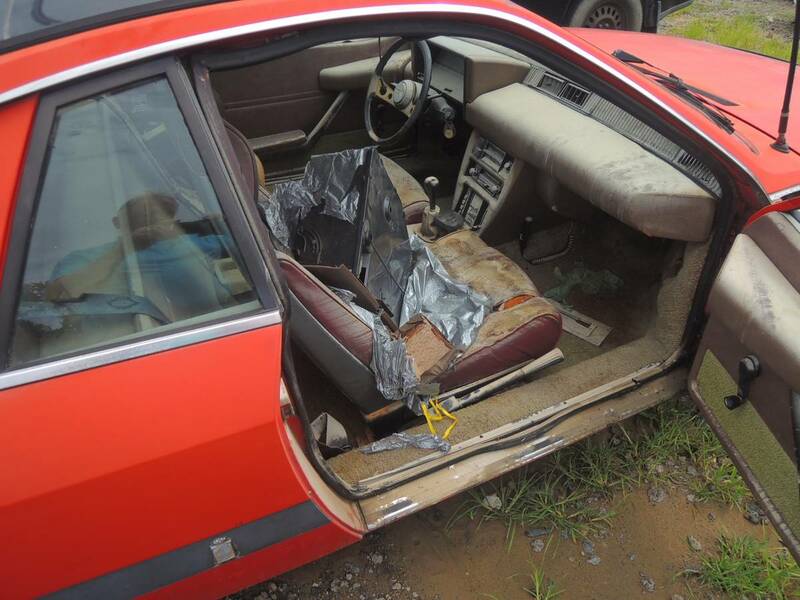 Located in Prosperity, SC, click here to see the Craigslist ad.